Almost a year back, I had been for the Indian food Bloggers meet. Apart from meeting the bloggers who I knew only virtually, this meet also gave us a chance to participate in some exciting contests. One of them was Urban Dazzle Cocktail and Mocktail contest. Urban Dazzle is India’s leading Home Shopping Website with a wide range of products to choose from at a very competitive price. As a food blogger who loves to buy Props which are unique and different and do not burn a hole in my pocket, Urban Dazzle is my destination and so far I have liked the service and quality they offer. From bakeware to serving platters to drinkware, they have it all. 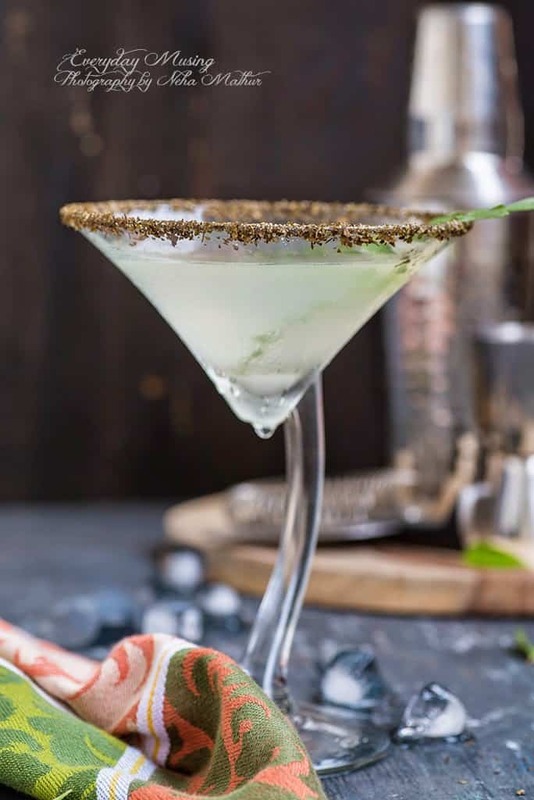 Keeping up with the Indian theme as required for this contest, I had come up with a very exotic concoction of Ginger and Curry Leaves Martini. I had recently bought the Martini glasses and Bar accessories from Urban Dazzle and they were the perfect choice to serve this cocktail. 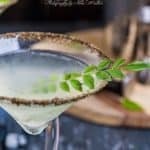 Don’t judge this recipe by its ingredients because let me tell you Ginger and Curry Leaves Martini is nothing like what you have thought! 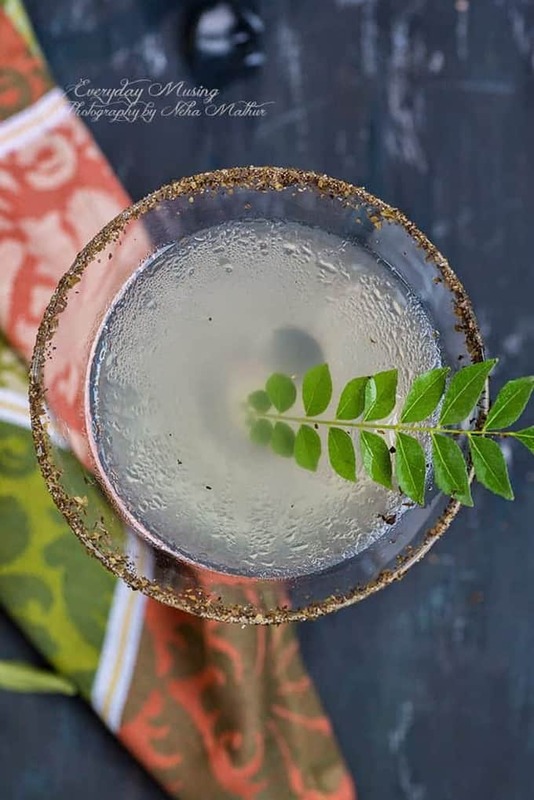 Indian flavors of ginger, curry leaves blend along so perfectly with the other ingredients that you would get clean bowled by the final outcome just like Sattu Ka Namkeen Sharbat. Get ready to serve the Martini with a desi twist. 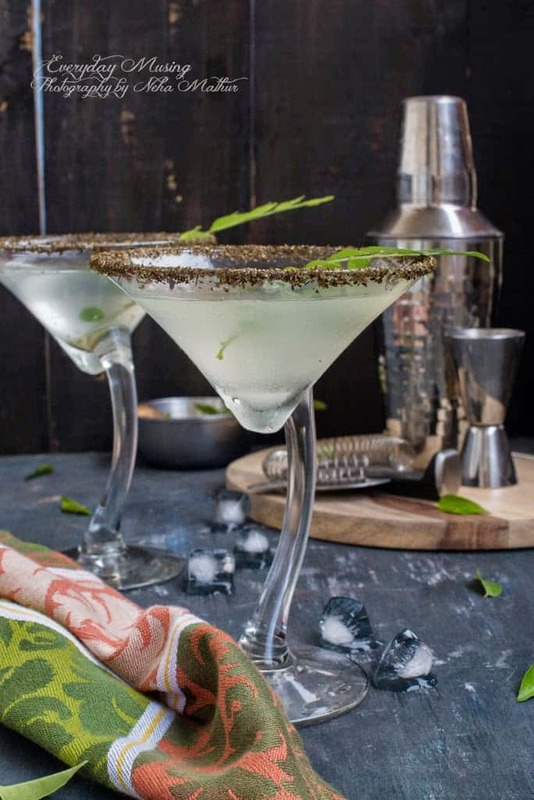 Bookmark this recipe of Ginger and Curry Leaves Martini and tweet your feedback for the same to me! Heat the oven to 180 degree C.
Spread the curry leaves on a baking sheet. Keep the baking sheet in the warm oven for 5-6 minutes, till the leaves are crisp. Remove the leaves from oven. Crush to make a fine powder using your fingers. Add the equal quantity of Martini salt. Wet the rim of Martini glasses using water. Dab the wet surface over the martini salt. Chill it for a few hours prior to serving. Take curry leaves and ginger in the mixing glass. Crush them using a muddler. Add gin, vermouth, lemon juice and sugar syrup and give the mixture a gentle stir. Strain in the prepared glass. — Zest up your life! Truly a prize winning entry. It was lovely to meet you at IFBM! What a great way to mix in flavors in a creative way. 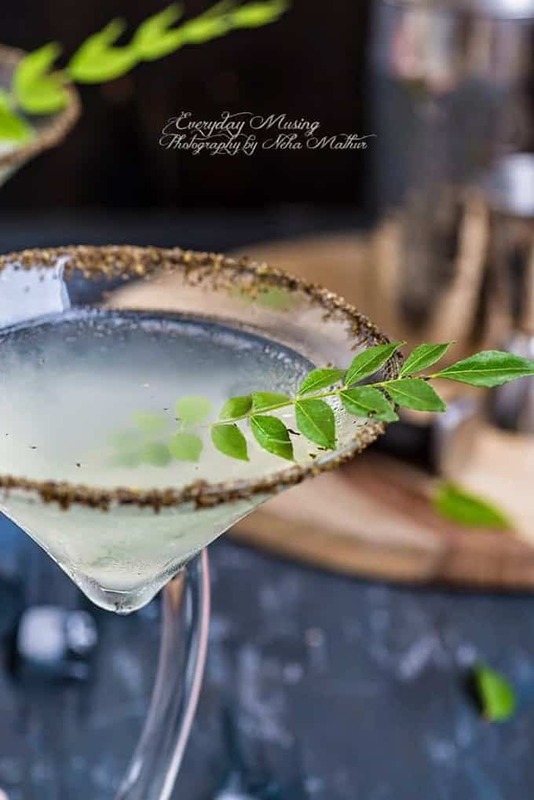 Now while I can’t say that I have ever had a martini with curry leaves, it is something that I would really like to try now. Great post and congrats on winning an award with this drink, I had a feeling when I saw it.